This detached large 1 bedroom Villa (200 SQ Meters) is located on the beach side, only 10 minutes walk to the beach, close to all amenities, it is an ideal accommodation for families or groups and represents luxurious living with good security. This Lovely Villa is located in the area of Founty Agadir just few steps from Agadir golden sandy beach. It is very peaceful, leafy suburb with great transport links and it is perfect for travelling around Agadir as it is only some steps from nightlife and the beach. This Cozy Wonderful Villa has One large bedroom with double beds, one salon (Lounge), fully equipped kitchen, one bathroom with WC, spacious terrace and secure parking. The villa is only 10 minutes walk from the beach and nightlife and Agadir's beautiful 6 Kilometers sandy beach. Furnished tastefully throughout and is the last word in luxury living. 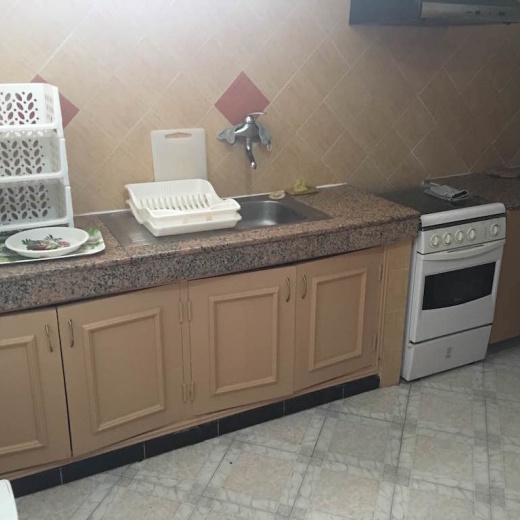 This Villa is located in Agadir City center, enjoying all of Agadir's shops, and fine restaurant and most of all Agadir's splendid corniche, and natural sandy beach. Complimentary FAST WI FI is available throughout the villa, and last but not the least this Cosy Villa has a very spacious Terrace to enjoy Agadir sun shine the whole day or a nice beer in Agadir fine weather.